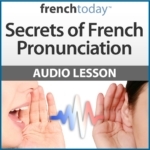 What is the difference between French from France and French from Québéc, Canadian French? Let’s dive right in with many examples as well as a deeper analysis of the Canadian French language. It is sometimes difficult to convince people that I work, shop, watch TV, listen to radio, and so on, only in French, but this is only true! Mind you, we are about 8 M people living in Québec and 80% of the population is French-speakers! The official language in our Province (the equivalent of a State in the US) is French which is therefore work, education, administration language. about 400 000 French speakers in Acadie (Acadians are spread out in Atlantic Provinces, mainly in New Brunswick). OK, you might think that 8 M is a tiny minority on a continent where English is the only language for more than 300 M inhabitants, but still, 8 M makes a lot of people to have a chat with… Many countries such as Sweden, Denmark, Norway, Finland have fewer inhabitants than Québec and their languages are still alive! Plus, even if we are only 8 M in our country, still, we have contacts with the rest of “Francophonie” (the Organisation internationale de la Francophonie considers that 220 M people in the world are francophones, i.e. that they speak and write French). Though standard French is more and more unified in France, you still have strong differences between various dialects in France (i.e. between French spoken in Paris and Marseille or between Brest and Strasbourg), and of course there are differences between France and Québec, so be ready to adjust to “québécois” (French spoken in Québec). You just need a crash course, a kind of “québécois 101”, and you’ll see it is not so difficult to understand people here, even if you’ve been taught French in France or with French teachers. First of all, remember that written French (in newspapers, in official documents, etc.) is exactly the same in Québec and in France. Otherwise, as far as the oral language is concerned, there are specificities in phonetics, vocabulary, morphology and syntax, and we’ll focus on these first three aspects here. Of course, this is not comprehensive at all, it is just a few remarks in order to give you “le goût du Québec”. aller à Québec means to go to Québec City while aller au Québec means to go to Québec (the Province/ the country). les monuments de Québec (city) vs les monuments du Québec (region)! Nasal vowels are a bit different : [an] tends to be pronounced a bit like [in] in Québec. [un] is still clearly pronounced in Québec though most of French people pronounce [un] as [in]. Some Quebecers, such as Montrealers, pronounce diphtongues : Arrête might sound like areïte! A is sometime pronounced ô : l’art (art) might sound like l’or (gold). A few years ago, there was an ad about some beer : the slogan was : elle est bonne de bar en bar. Consonants such as t and d are “affriquées”, before a vowel, which means that one adds a slight s sound or z sound after them. This might be the most striking difference when you get to Québec, it is also the most exciting, the most interesting. Nowadays there are a lot of pocket dictionaries for tourists that one can buy at the airport or in any bookshop in Montreal. and those new words are then adopted in France! One often says this is because, luckily enough, we lie 4000 miles away from the old Académie française. 7 – French Canadian Swears! One thing which is also fascinating in québécois is the swear system. You might not use swear words but, listening to people on the street or in cafés, you’ll be amazed by the variety and the creativity of the system. One can even change the category of the word : Christ, which is originally a proper noun can become an adverb (être en crisse : to be angry) or a verb (crisse ton camp : go away!). I chose very few examples for this first québécois 101 lesson but I tried to give you the most significant ones! Just for the fun of speaking French in America, I think that Québec deserves to be visited. Do not forget that I am a traveling teacher and that I would be happy to guide you in Québec! Camille posts new articles every week, so make sure you subscribe to the French Today newsletter – or follow her on Facebook, Twitter and Pinterest.